Superior Glove is one of North America’s leading manufacturers and suppliers of work gloves. A respected source for thousands of customers, Superior Glove has been in the business since 1910. With four manufacturing facilities, they are able to serve customers globally. Specializing in cut-resistant gloves, they are also licensed manufacturers of Kevlar® and Dyneema® products and offers high-quality work gloves for every industry. Superior initially began working with WebRanking in an entry level Search Engine Optimization campaign during the spring of 2005. Paid Search Management was added shortly after the initial engagement. 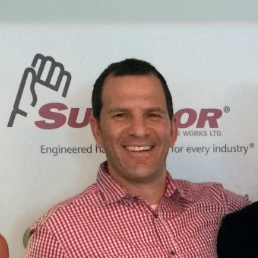 In 2012 Superior Glove Works made the decision to go “all in” when it came to their online marketing, with a desire to make their website into a more comprehensive marketing and lead generation tool. This led to their current digital marketing program, which focuses not only on keyword triggered traffic, but also on online engagement with the health and safety decision makers who choose the personal protection equipment for their organizations. The objective of the new Superior Glove Works campaign was straightforward: increase engagement while also increasing web generated conversions. To do this we would need to improve conversion rates, provide a better user experience, while making a concentrated push to establish the Superior Glove brand as an international leader in hand safety and personal protection equipment. The Superior Glove campaign presented several unique challenges. As we looked to make a significant push into becoming an online authority in personal protection equipment and work gloves, we realized we would need to see a sizeable increase in content for the site. At the time, Superior didn’t have anyone on staff to create this content and was hesitant to commit to regular ongoing content production. We were also dealing with a very specialized industry that already had several established competitors. Due to the nature of the business, all our content, marketing and efforts needed to be authentic and true to the goals of Superior Glove. Our strategy for Superior Glove employed a multi-pronged approach focusing first on creating a better overall user experience on their website. Mapping out the customer and potential customer’s journey on the site was critical, as was implementing conversion rate optimization (CRO) techniques followed up by ongoing testing to generate more conversions from their current inbound traffic. Another focus was on the development and creation of content that established Superior Glove as a thought leader and expert in the field of hand protection and occupational safety. Content pieces from Superior Glove needed to be resources for the Occupation Health & Safety Industry. They also needed to be seen by the right audience and had to be significantly better and more informative than what was being offered by their competitors. With better content to promote we were able to make a switch in our PPC focus by heavily incorporating content promotion campaigns into our Facebook, LinkedIn and AdWords paid advertising efforts. Onsite pop-up forms also helped to significantly increase subscribers for their newsletter, while also providing us with valuable data to be utilized in our advertising efforts through Facebook ads. A priority for our outreach efforts was to focus on the creation of industry specific personas, allowing us to tailor and promote content directly to the various industries Superior Glove serves. Much of this has been accomplished through the ability to remarket to visitors who visited specific industry pages on the site through Facebook Remarketing and through the industry targeting abilities available in LinkedIn Promotions. 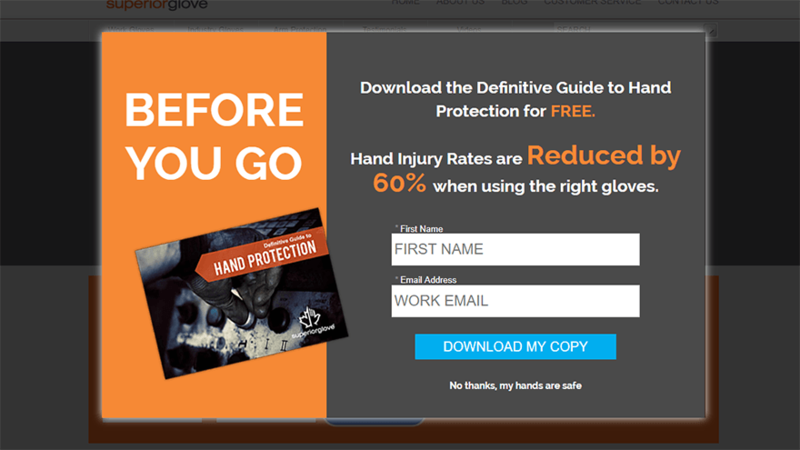 A strong social media presence by Superior Glove, especially within the Occupational Health & Safety Groups on LinkedIn, allowed the campaign to continue to nurture engagement from the leaders and decision makers in the safety industry. Naturally, this push for engagement with the right audience and the right content, also led to a noticeable increase in organic traffic, rankings and inbound links for Superior Glove. The conversion rates for the site have also grown significantly, which can be attributed to the focus on conversion rate generation strategy & testing, along with the fact that we are now seeing higher quality visitors to the site that are more likely to turn into a lead or conversion. Learn how you can grow your business with a free search marketing consultation from one of our search engine optimization experts.